Showing traffic for 2016 hit an all time high in April then plummeted in May. We’ve been on a slow and steady climb since August and we’re holding strong. If your clients are asking – it’s a GREAT time to sell. 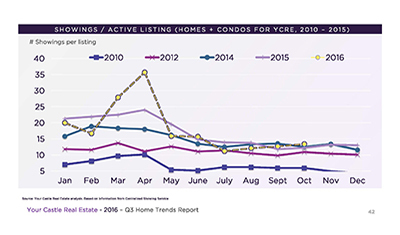 If you are looking for more trends data and charts like we’ve shared here, please feel free to email us (jeremylambert@yourcastle.org) or comment below.